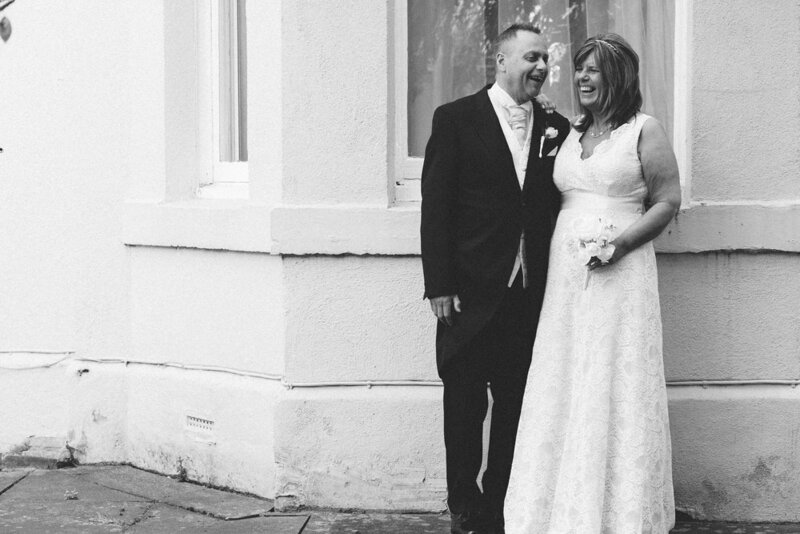 There are a few things that spring to mind when I think about Gloria and Kevin's intimate wedding at the Caledonian Hotel in Newcastle. One is kids - this was a wedding full of children, both young and old. Some couples choose to not have children present during the ceremony or even later in the day, but not Gloria and Kevin - they had the full family present throughout the day. The other was laughter. Everyone so so happy, constantly smiling and laughing. I came in for some good natured ribbing myself and thoroughly enjoyed mingling with the family and friends as I photographed Gloria and Kevin's wedding. The last thing that springs to mind is love. I know it's a cliche, and after all this is a wedding, but there was a real warmth and love between Gloria and Kevin throughout the entire day. They were constantly holding hands, making eye contact and being patient with one another. Emotions can run high on wedding days as everyone tries to meet the schedule or feels stressed, but Gloria and Kevin sailed smoothly through the day. Perhaps it's because they were a little bit older. Perhaps it's because they had each been through this before. Or maybe it's just because they really, deeply loved each other. This wedding was a little different for me because it was more intimate. It was a half day wedding, with a far fewer number of guests than usual and it was close to home, which made the travelling easy. 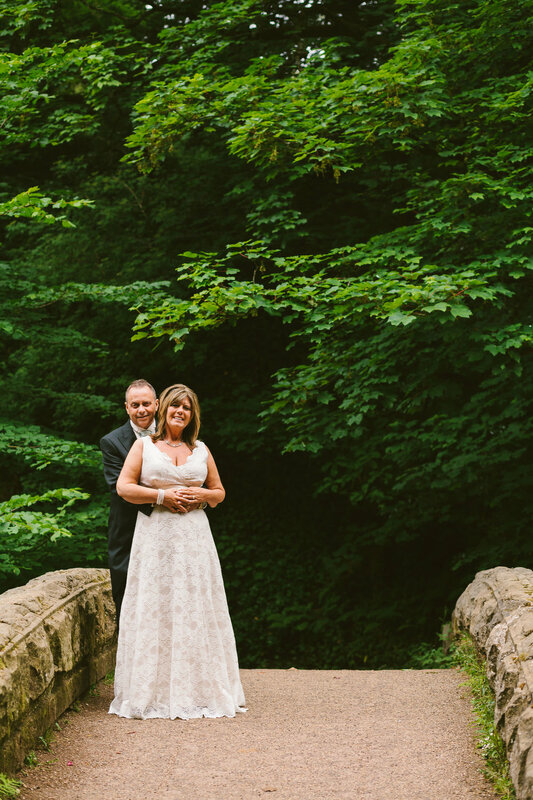 With no bridal prep or evening party to photograph, there was some slack time in the afternoon so I suggested we take the short drive down the Jesmond Dene for some portraits. The Caledonian Hotel has added a secret garden to the rear of the property for the use of wedding guests if the weather is good, and this is a welcome addition, because the hotel is in the heart of the city and photo opportunities nearby are few and far between. But the secret garden is a small space and we quickly exhausted it. Getting away for 15 or 20 minutes to take some couples portraits can be great to allow the bride and groom to decompress a little away from their guests. They can then join the fray feeling refreshed and ready to party. Of course, it also means that they can come away with some nice portraits of just the two of them to enjoy for years to come. To see more of my real weddings, and some couples shoots and wedding venue reviews (including a full review of the Caledonian Hotel), check out my Newcastle weddings page.